Alas, spring cleaning is upon us. Usually, we spend these next weeks drilling in the importance of general household cleaning, but this year, we’re being a little more specific. As dry cleaners in Toronto, we’ve noticed that a lot of you guys have pets! We love animals and don’t mind one bit when we notice some of your furry friend’s hair left behind on the clothing we’re cleaning. We do know, however, that keeping your house clean when you have pets is a major challenge and one that we’d love to help with. Pet owners are very familiar with pet hair and dirt on their clothing, bedding, and curtains. Heck, what cat doesn’t love to curl up right on your pillow, preventing you from getting a good night’s sleep? And what dog doesn’t love to greet you when you come home by rubbing its fur all over your legs? While somewhat annoying, all of these items can be washed or dry cleaned with little effort. Simply gather up all of these items and ship them off to Parkers for a cleaning! If you’d like to wash some of these textiles at home (and if the care tag allows it), you can also pop them in your home washing machine and call it a day. If you have pets and you let them on your bed, wash your sheets and duvet covers twice as often as you would without pets. We’re talking at least once a week, if not every 5 days. Fur and dander can affect air quality and you really don’t want to be breathing it in while you’re sleeping. Installed textiles, like carpets, and large upholstered items, like couches, make cleaning up after pets a lot harder. Of course, a vacuum here and a Swiffer there can help, but we’re talking about spring cleaning. You want your house to feel as fresh and clean as possible. This is where professionals come in. Spring (and fall) are perfect opportunities to have someone come and clean your difficult textiles. At Parkers, we actually offer in-house cleaning services in the GTA. 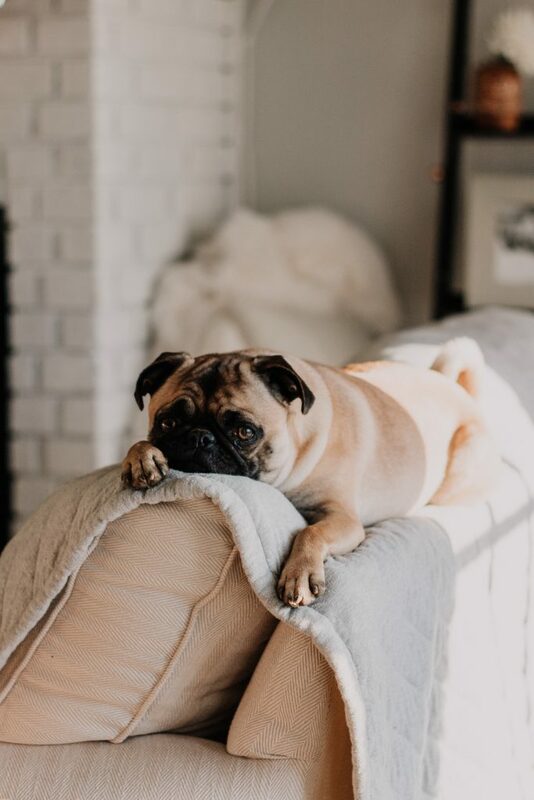 We will come over and clean everything from drapes (including rehanging) to carpet so that you can head into these warm weather months knowing that your house is free from the build-up of dirt from oh-so-loveable, but oh-so-dirty pets that are a part of our families.